We would be delighted to answer any inquiry you might have about your security system, just use the form below or choose one of the alternative methods of communication. We’re available from Monday to Friday, 09:00-17:30 to take your call. 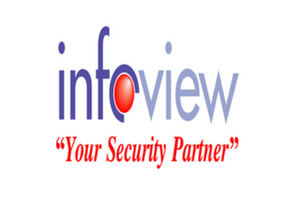 Do you have questions about how Infoview Lifetime Sdn Bhd can help’s? Send us an email and we’ll get in touch shortly, our dedicated sales team are always happy to help. You can also phone +6016-2296133 or +603-33436133 Monday–Saturday(Alternate), 08:30–17:45. Infoview Lifetime has strong belief that our direct support from factory and quality services are essential in order to be successful in this industry. Our policy is to deliver the BEST Product, Support and Services to our client's and Partner's worldwide. Our Clients base includes Small and Medium Enterprises, Factories, Home-User, Jewelry Outlets, Corparate Company and etc. We always dedicate to provide clients the Best Solutions in meeting their requirements. 38, Jalan Batai Laut4, Taman Intan,Kaw 16, 41300 klang,Selangor darul Ehsan.